This month started out quiet, then became jam packed with tastings toward the end of the month! February was the month I dared to explore more of my palette when it came to ice cream! Enjoy my recap of February's events. I had never been to Echo Park prior to our visit to Beacon Echo Park, which recently opened by the lake! We loved the location of this cafe and the neighborhood, and the beautiful scenery as we enjoyed our meal sitting next to the lake. On top of that, the presentation in the dishes was gorgeous. We ordered the Salmon Toast and Wagyu burger with brie cheese, along with a fragrant Lotus Tea, and a Latte, which came with latte art. After our delicious meal by the lake, we got the chance to go pedal boating around the lake through Echo Park Pedal Boats. It was a good post-meal workout and a fun team-building exercise as we pedaled around the lake. We came here to check out the ice cream bouquet that came with 10 mini scoops of ice cream. The ice cream shop was also advertising their 5 newest flavors: Burnt Orange Caramel, Chai Espresso, Almond Almaretto Macaron, Genmaicha, and Burnt Walnut Basil. We decided to give the flavors a try by getting two scoops of each flavor to fill up the ice cream bouquet. I was so impressed! I usually prefer tart and tropical flavors, but surprisingly I really enjoyed the Burnt Orange Caramel and the Almond Almaretto! This was my first time trying out such unique ice cream flavors! 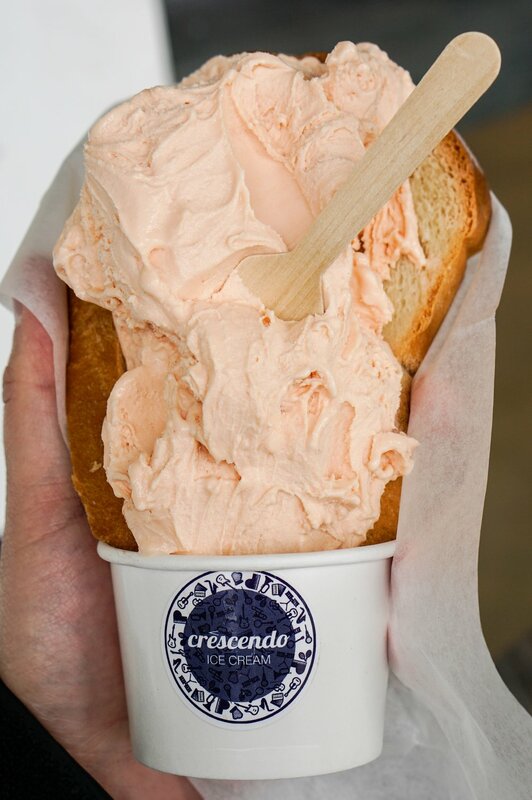 Crescendo Ice Cream was starting up a pop-up location along with Poke’Logic, a new eatery in Montebello. We first started with ordering our poke bowls. The menu was vast and had a lot of fun options for the base, such as fried rice or fried noodles, and an assortment of toppings, such as mango, wasabi peas, sweet corn, mushrooms, and avocado. Poke’Logic also offered acai bowls and allowed us to customize those too. The portions were generous for both the poke bowl and the acai bowl, and all the flavors were excellent; my acai bowl even had a rose-shaped strawberry on top! 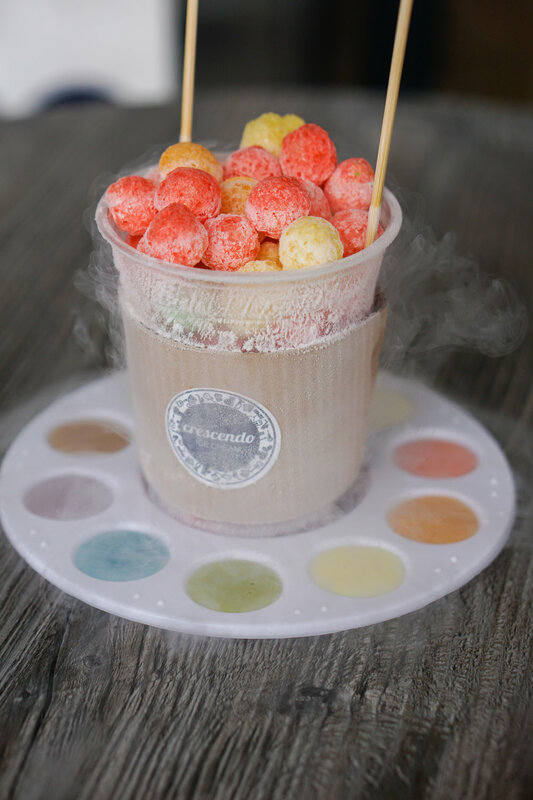 We were also very excited to try Crescendo's Heaven's Breath with the Artist Palette, which was cereal with liquid nitrogen in a cup, on a palette of dipping sauces. The cereal was very cold for the first few minutes and it was fun trying all of the flavored sauces. We also got their signature ice cream and bread combination. It was an interesting combination and I definitely enjoyed the The Pink Pandan liquid nitrogen infused ice cream we got! We came to check out their newest item, the Sushi Donut, which came topped with fun sushi ingredients and filled with avocado, spicy tuna or imitation crab. It was such a photogenic dish and very sturdy for when I wore them as glasses! We also tried the famous Crispy Spam Musubi. These were so amazing and I would have to come back another time to try their Sushi Burritos! We also stopped by Afters Ice Cream in support of their 11th store in Fullerton and for their 3 year anniversary. I was so happy and proud of how fast they grew in the past few years! I had previously visited to try the milky bun with ice cream, but was glad we tried the ice cream in a cone this time. 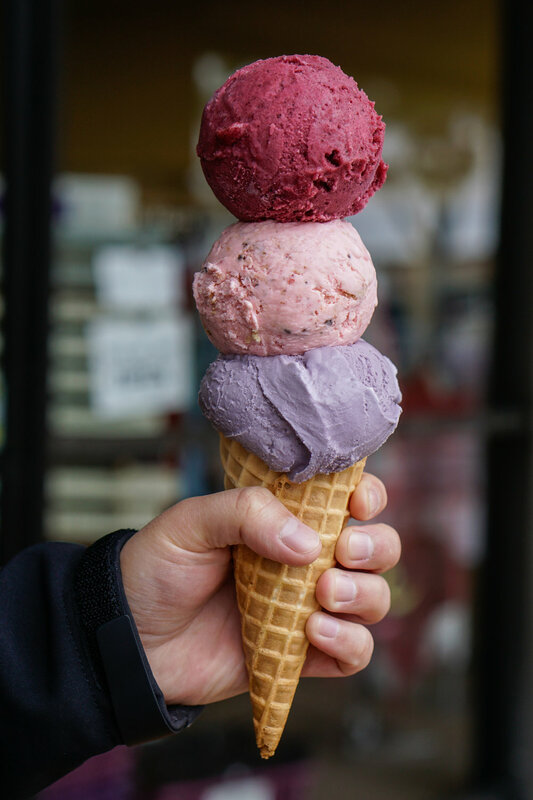 We got the Acai Blueberry, Strawberry Cookie Crunch, and Jasmine Milk Tea ice cream in a waffle cone. The colors were gorgeous and I was so impressed with all of the flavors. We also tried a secret menu item, the PB&J Milky Bun, which was made from Peanut Butter S’mores and Acai Blueberry Ice Cream, topped with peanuts and chocolate drizzle in a glazed milky bun! I had never enjoyed PB&J this much! We were invited to try the Behind The Wall Burger of the Month, which was a chili cheeseburger with cheddar cheese, onion rings, peppadew peppers, and chive cream. It was so delicious, I wish I had not shared it! We also got two beer flights so that we could try some of their unique craft beers they had along the wall, such as That Guava Beer, Sacrilege Sour Cherry, and Heritage Honey Ale. 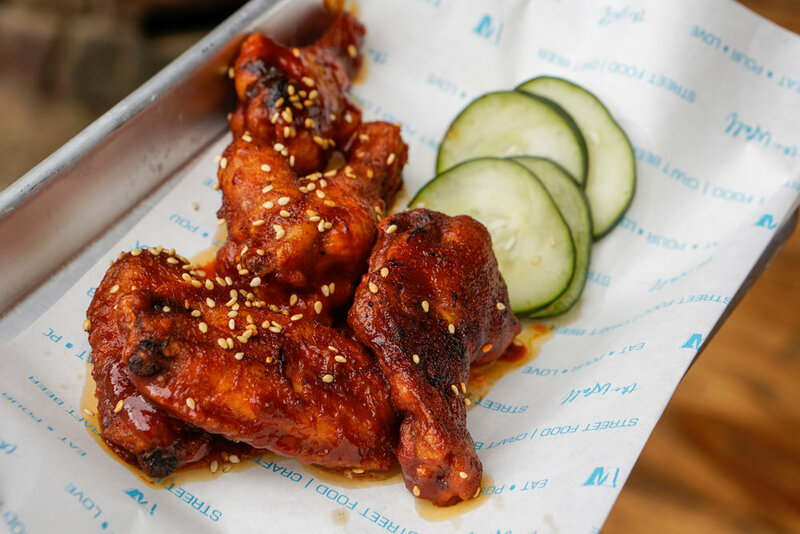 As for the food, we ordered Elote Fries, Gochujang Chicken Wings, Peruvian Ceviche, and Bunny Chow. The portions were big enough to share, but not so big that we would be overwhelmed. To this day, I still dream about those amazing Elote Fries! I was so happy to hear that Mr. Holmes had opened a second location in Southern California, and I was more than willing to drive after work to the Union Market in Tustin to offer my support. What was special about this media event was that Mr. Holmes was promoting their collaboration with Milk Box with a fun Matcha Mustache Cream Donut! 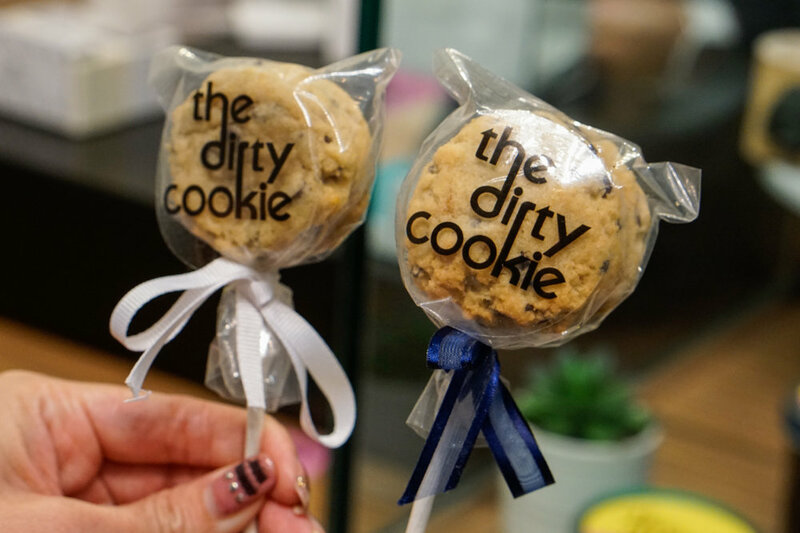 We also received vouchers to order items from Milk Box, The Kroft, and The Dirty Cookie, all of which I have been a big fan! I got the new Dulce De Leche Milk Tea from Milk Box, a Porcetta Sandwich and the Hot Cheetos Bao Bun Cheesesteaks from The Kroft, and a Cookie Pop from The Dirty Cookie. These were new and different items than what I would usually order from these shops, so I left feeling very proud of myself! Sawleaf’s first location was at the Anaheim Packing District, but I had not gotten the chance to try their food out until our visit to their new location at The Market Place in Irvine. 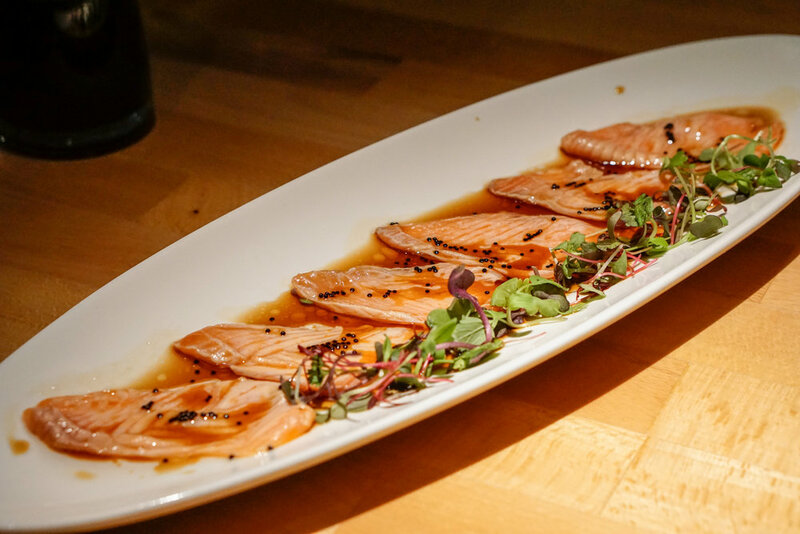 Sawleaf’s menu focused on a modern take on classic Vietnamese dishes, such as pho and banh mi. While I did not end up trying the pho, I got to try a few of the sandwiches and their fun appetizers such as their Cilantro Lime Shrimp Sweet Potato Fries and Egg Roll Bites! Everything was delicious and the Vietnamese Iced Coffee and Sparkling Mint Limeade were so refreshing. We also got to take home mini Sriracha bottles to hang on our keychains! It had been a few years since I last visited Cauldron. I loved how things have changed since then; there were three different types of puffle cones and a lot more ice cream flavors to choose from. Among us foodies who went, we ordered seven different ice cream flavor and puffle cone combinations. We also asked for all of them to be rose-shaped, which made for a very adorable theme for our photos! Two flavors that were brand new to me and worth trying were the Pineapple Express and the Sun and Moon; the latter one includes adorable star-shaped sprinkles! 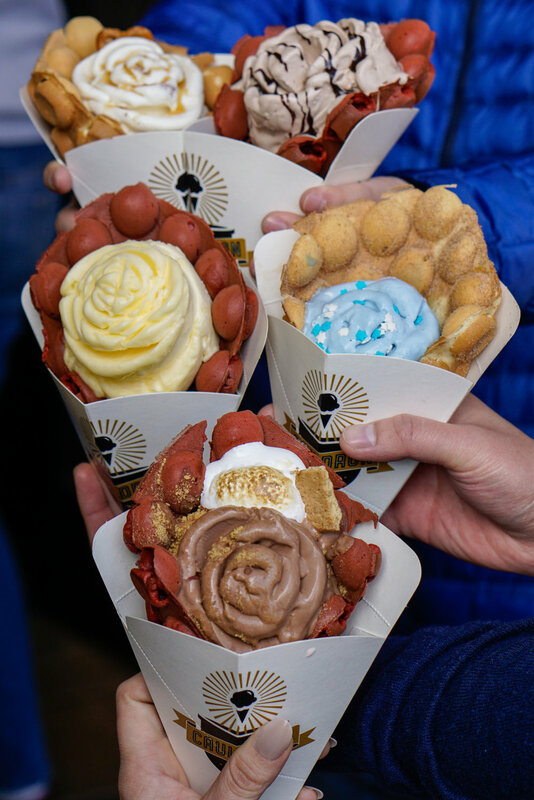 As for the flavored puffle cones, my favorite flavor was the churro flavored puffle cone! 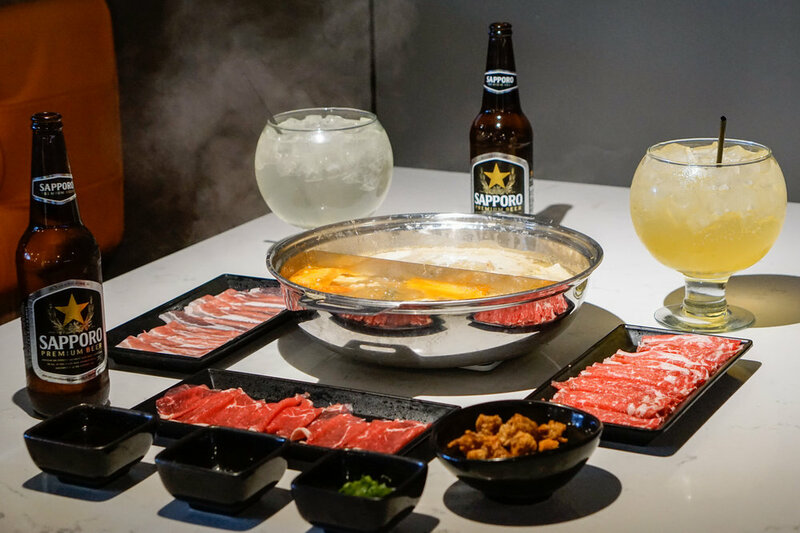 We stopped by to check out the recently-opened Broth Shabu-Shabu to enjoy some Japanese hot pot. The pot allowed for two flavors so that we could try different broths; we ordered the popular Tonkatsu and Spicy Miso. I loved that the meats, seafood, and appetizers were all-you-can-eat, and that there was a large buffet of vegetables and noodles where we could select additional ingredients for our hot pot. My favorite part was our non-alcoholic Cocktail Party Bowls, which looked like a gigantic fish bowl of juice. I would want one for my house decor in the future! We came to check out this new Japanese restaurant in Huntington Beach, specializing in ramen and sushi. 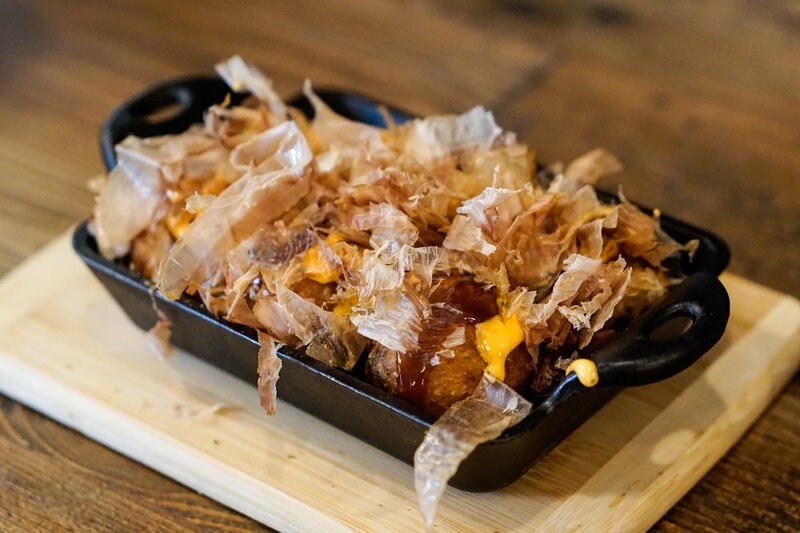 The restaurant was cozy and intimate, and the menu looked like it had a good selection of items, from appetizers, sushi, and ramen, to beer and sake. We mainly ordered sushi-themed items. 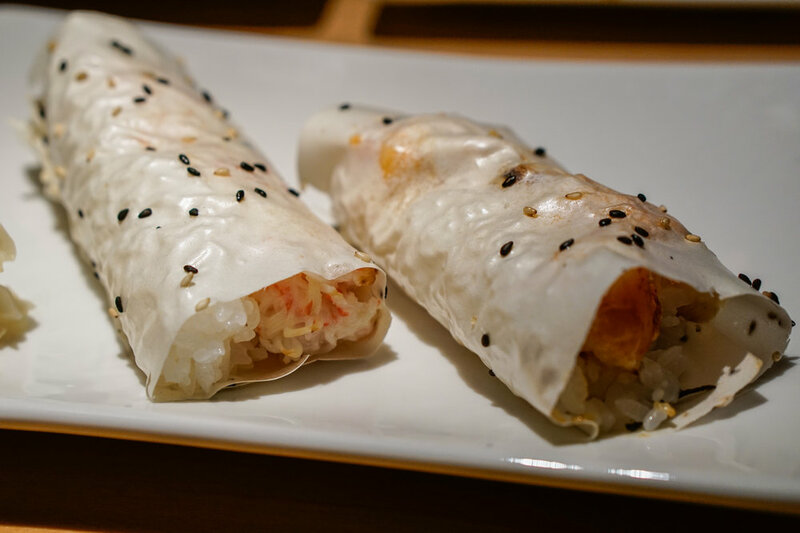 My favorite items were the Salmon Carpaccio, Soft Shell Crab Roll, and Lobster Hand Roll. I would have to return to try their ramen and other appetizers! I was intrigued when I heard about a cafe that served gourmet cinnamon rolls! 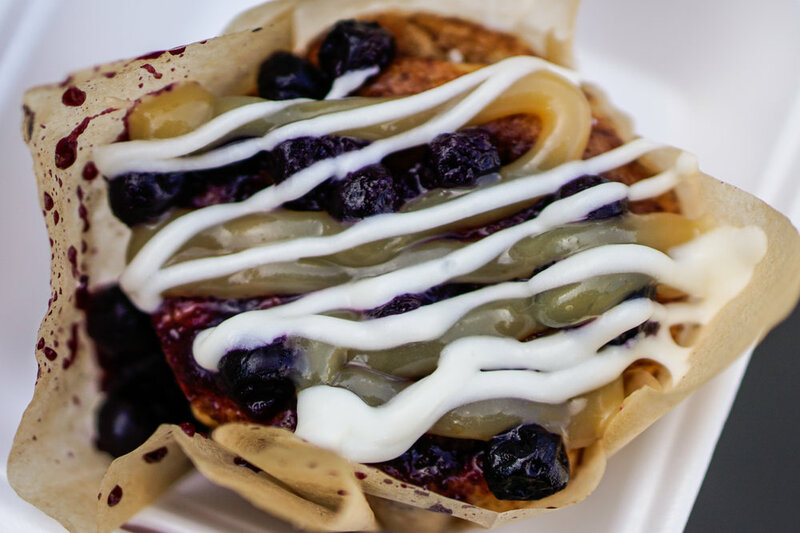 When we got to the bakery, we were impressed by the variety of possible toppings and creations they had. I was immediately drawn to the Blueberry Lemon Curd. I also got the Cinna-Breakfast Sammy, which was made from turkey sausage, cheese, a fried egg, maple syrup, and icing on top of the cinnamon bun (think McDonald’s and Cinnabon). There were other fun flavors we saw and would love to try next time, such as Snickers, Earl Grey and Honey Almond, and Mango Coconut Cream. This was a pretty neat place to get my cinnamon roll fix! 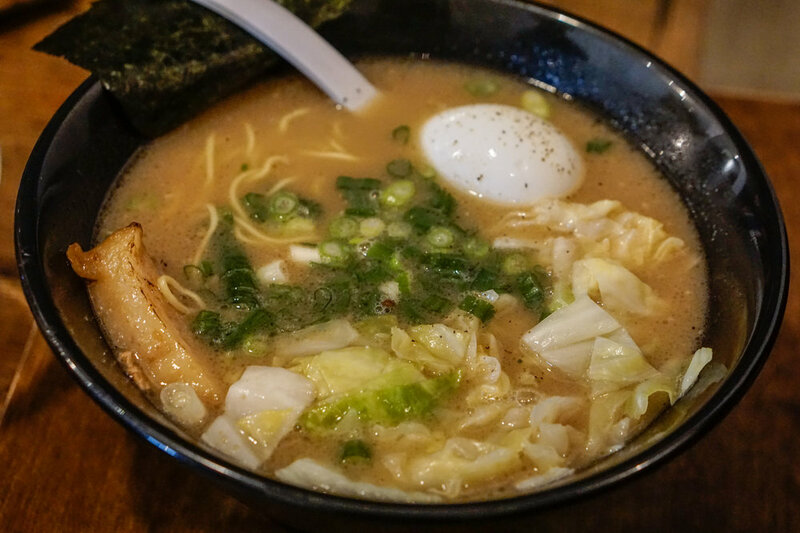 We were so excited to try out the latest ramen shop in downtown LA! 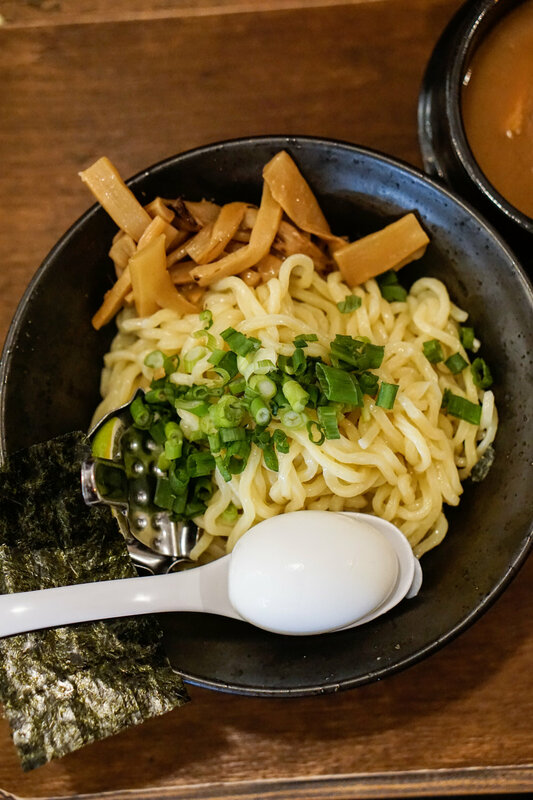 Their newly-launched menu included the classic broths, such as tonkotsu, miso, and shoyu, as well as some vegan options. They had some fun appetizers to choose from such as Yuzu Potato Salad and Kara Age Chicken, and they also served beer and sake. 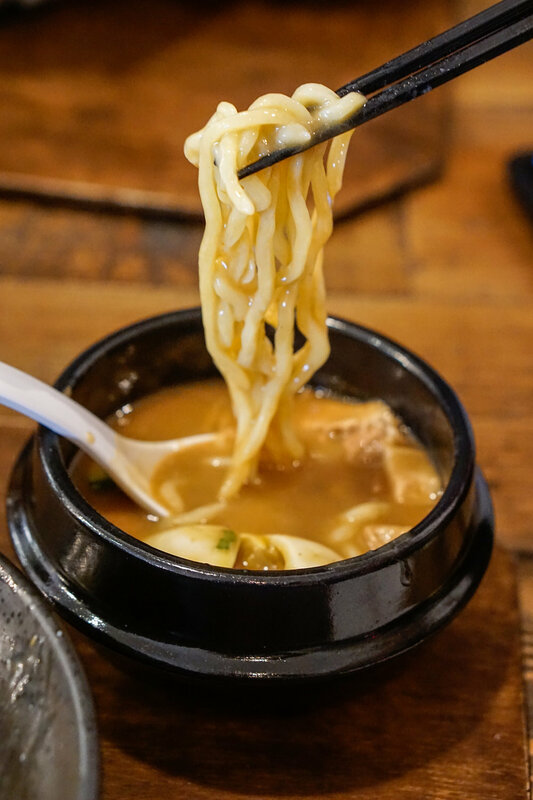 I was also in love with the fact that we could choose between thin or thick noodles, and between a hard-boiled egg or an injected egg. This was my first time trying tsukemen, which was dipping ramen, and it was a fun experience dipping the ramen into the hot soup! That concludes my eventful recap of February! I will be posting more recipes and restaurant reviews soon!